One of the many standout points for the upcoming Dodge Challenger SRT Demon is its huge rear tires, which will be fitted at a second production facility. The Demon will sport exclusive 315 mm wide, 315/40R18 Nitto NT05R tires which will be the widest for any production vehicle, but it seems one assembly plant is not enough for the fitting. 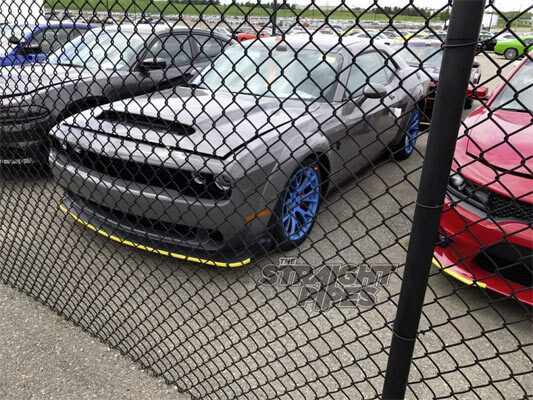 As you can see in these images the example Dodge Demon is wearing tires possibly from the Dodge Challenger SRT Hellcat which are on 20 inch aluminum forged wheels with possibly 275/40ZR20 tires. Apparently, the Nitto drag radials are to big to be added at the Brampton Assembly Plant, Canada, so other wheels and tires are fitted before the vehicles are sent to another assembly plant in Redford Township, Michigan for the tire and wheel fitting before going to dealerships. It could also be possible that the two-stage facility will also be used for other tweaks and additions to the Dodge Demon, depending on what the customer has ordered. Only 3,300 vehicles will be made of the Dodge Challenger SRT Demon and at a potential starting price of $84,995 for a 6.2 L Hemi supercharged V8 car 840 HP and 770 lb.-ft. of torque, the car is definitely set to break records on release. 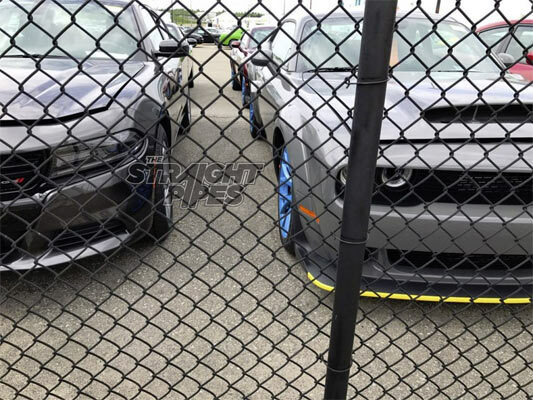 We also wrote yesterday on how one eBay seller is already posting a Dodge Demon for sale at an amazing $250,000 on release on Ebay. The listing will be very interesting to see if there are any takers, especially at such an immediate inflated price. Next Story → Free and Live RTRA Turbo Bullet Radial Rebelion. $100K In Prizes!